The two new cabins, replacing the old cabin and lead the guests from the Türlwandhütte (1702m) up to the Hunerkogel in an elevation of 2700m. 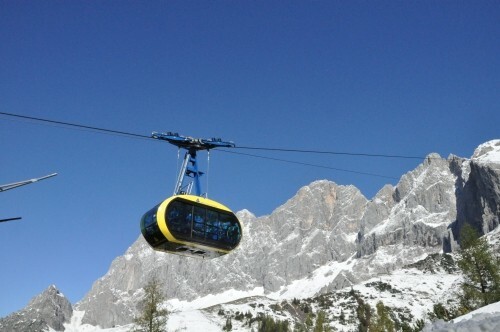 The Aerial Tramay Dachstein overcomes a length of 2174m with a maximum gradient of 86% and a maximum speed of 32km/h. The travel time for one distance is approximately 6 to 8 minutes. The contract of the office Handel Engineering includes the static calculation of the cabin and also the cabin hanger considering the structural safety as well as fatigue. 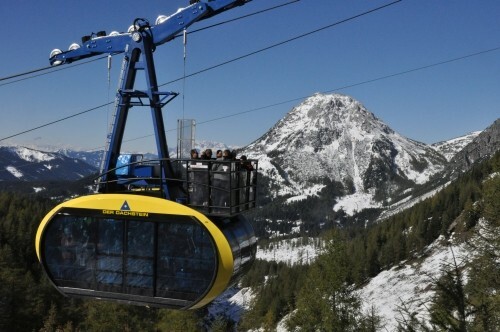 The construction of the new cabins was part of the company Carvatech Karosserie und Kabinenbau GmBH. 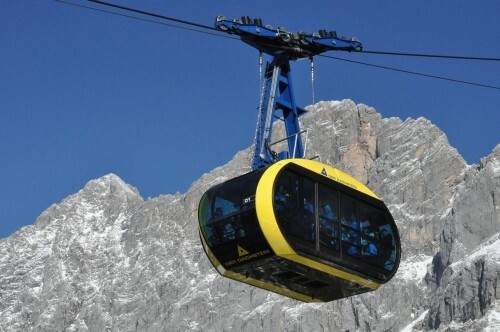 For the Aerial Tramay Dachstein the old cabins and the cabine hanger were replaced by new ones. The static design of the new cabin is based on a number of 60+1 persons. At the bottom of the cabins a tank is attached, to transport water to the top station. In this case, a number of persons of 15+1 is permitted.